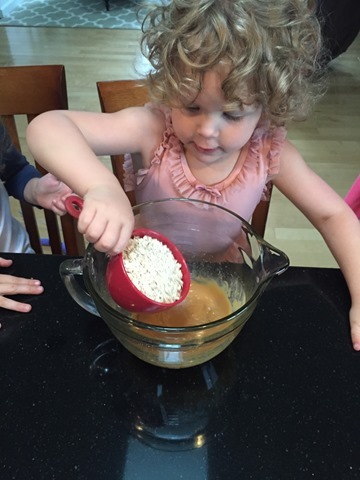 It’s a rainy cool Sunday here in Maine, making it the BEST day to try out a new recipe! I seriously love KIND granola bars but do not love that they contain soy. Because of that I stick to my trusty Larabars most of the time and the coconut ones are my favorite! Larabars are soy free and gluten free so they are #1 in my book but I do love the texture of the KIND bars so today I attempted to put something together that was similar without the soy. Melt almond butter and honey until warm, I’m sure you could do this on the stovetop but I chose to use the microwave for 30 seconds. Mix together. Add oats into the almond butter and honey and mix. 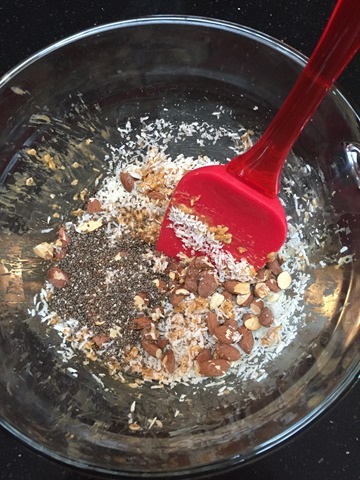 Add coconut, chopped almonds, and chia seeds, stir until all ingredients are mixed together. Coat a pan (I used 8×8 glass dish) with coconut oil to keep the mixture from sticking. Press the mixture into the dish and spread out evenly. Put the dish in the freezer for 45 minutes. 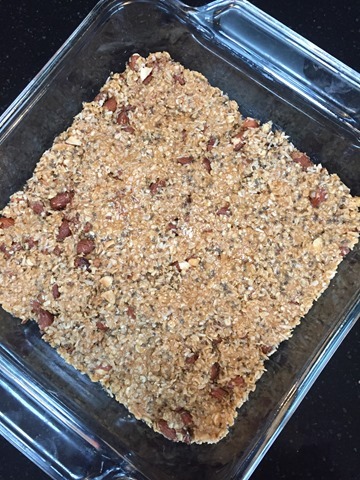 Remove from freezer and wait for 5 minutes then cut into bars and enjoy! Store remaining bars in the refrigerator. Makes – 10 medium size bars. I think this would be delicious with fruit or other nuts added as well. I think next time I may try cranberries and dark chocolate, what would you add?! Happy Sunday everyone! 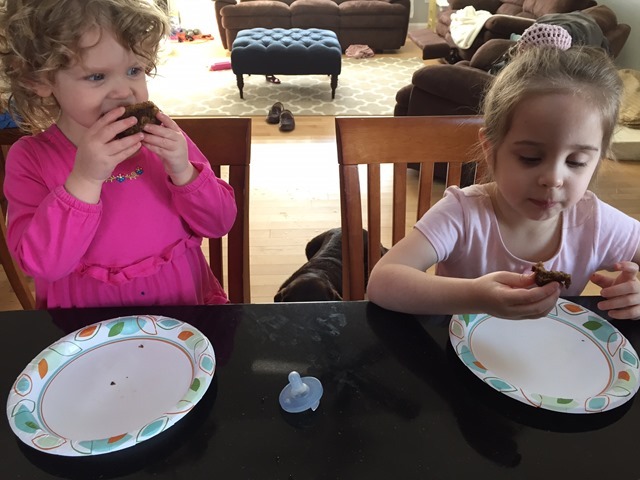 I HAVE to share these delicious gluten free, sugar free muffins I made for my family yesterday! They are delicious and my girls LOVE them! 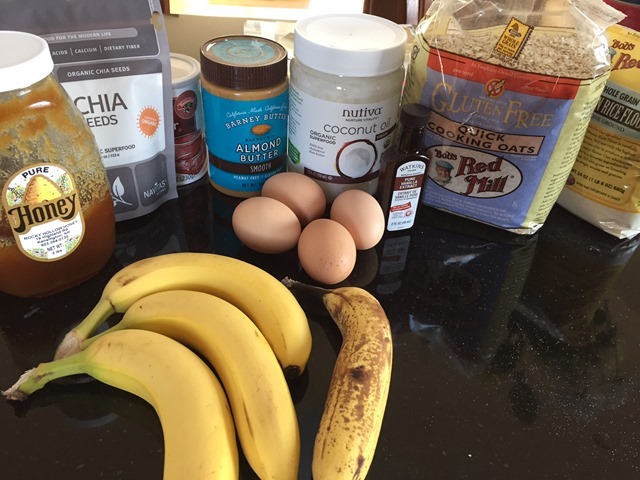 You most likely have all the ingredients already too…score! This was a recipe my friend Wendy shared and I know you are going to enjoy it! Back at 375 degrees 10-12 minutes or until toothpick comes out clean. This recipe makes about 8 smaller muffins. 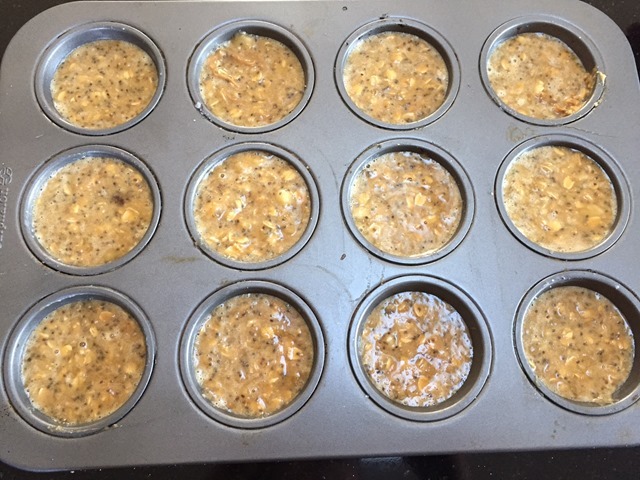 You can double the recipe to make 12 large muffins like I did! 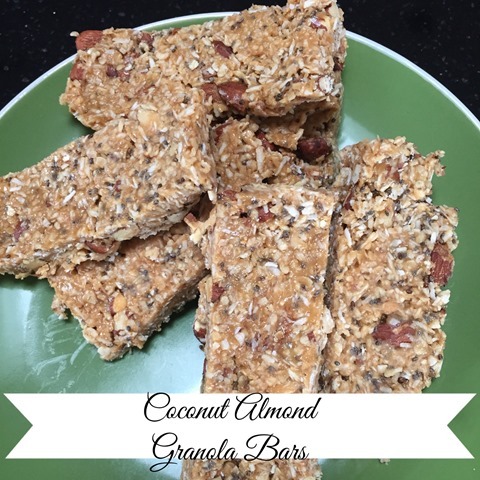 I have used chia seeds instead of flax seeds both times I’ve made these and they were delicious! 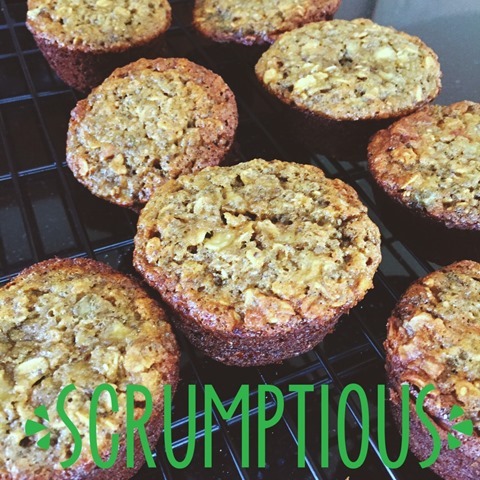 I have also used brown rice flour instead of almond flour and they were still great! If these little ladies like them you know they are good! Hi Everyone! I thought I would drop in and share a yummy and easy recipe with all of you today. We had this for dinner last night and it’s honestly SO easy! I love a a good crock-pot recipe and this has been a favorite in my house through Winter. I will admit my husband put this together yesterday and so we only have one picture but it’s too good now to share! Use olive oil to grease crock-pot. Pour a quarter of the Italian dressing on the bottom of the crock-pot. Place carrots in the crock-pot. Place potatoes on top of carrots. Pour half the jar of Italian dressing on top of potatoes and carrots. Sprinkle in a dash of Italian seasoning and a little parmesan cheese (if using). Place chicken on top of veggies and potatoes. Pour remaining Italian dressing on top of the chicken. Top with sprinkle of Italian seasoning and parmesan cheese (if using). Share your favorite crock-pot recipe in the comments below! Hi everyone! I hope you are all having a wonderful weekend and enjoying Spring! While it may officially be Spring, it sure doesn’t feel like it here in New England! It’s feeling very much like Winter with high temperatures expected only in the low 20’s where I live today. As much as I would love to start eating salads and warm weather feeling foods, I’m still craving the comfort foods that go along with cold weather. This Shepherd’s Pie has been a favorite this season. Mash potatoes with a masher or in a mixer on low speed. Gradually add milk or broth and a little salt, mashing until the mixture is light and fluffy. Cover and keep potatoes warm. In a large skillet cook turkey, garlic and onion over medium heat until meat is brown. Drain turkey if needed. Stir in zucchini, carrots, corn and water. Bring to a boil and reduce heat. Simmer, covered until vegetables are tender, about 5-10 minutes. Add tomato sauce, Worcestershire sauce, and pepper to the turkey mixture and heat through. Spoon turkey mixture into a 1 1/2 quart dish, spreading evenly. 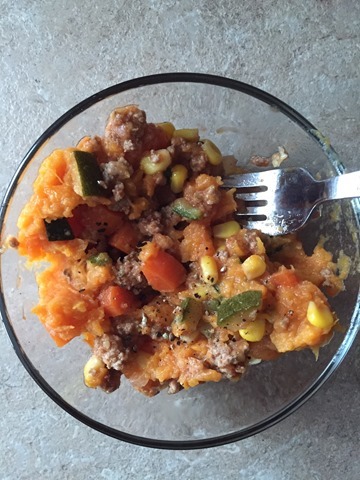 Spoon mashed sweet potato on top of the turkey mixture. Bake, uncovered for 20-25 minutes or until heated through. This version makes about 4-6 servings. A great option is to double it and freeze half of the turkey mixture for a later date. Good morning! I hope everyone is enjoying a nice weekend, mine has been jam packed with activities. Yesterday we attended a birthday party to celebrate my amazing Goddaughters 4th birthday and last night Micah and I went bowling to celebrate the birthday of one of our closest friends! In between the two birthday celebrations I also attended a beautiful baby shower, and snuck in a quick visit with my brother and his girlfriend. It was a fun filled and busy day! 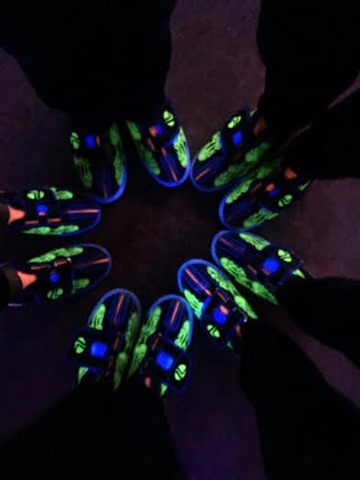 Does anyone remember going cosmic bowling?! 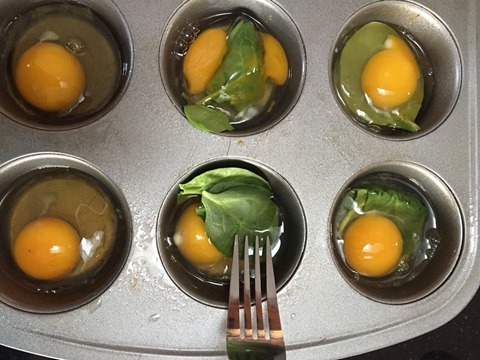 Because I’ve been so busy this weekend I haven’t had a ton of time to think about meal prepping for the week but do know one thing that I will be making this morning: Muffin Pan Eggs. I love this because it is quick and easy, something everyone in my family eats, and can be eaten for breakfast, lunch, or dinner. 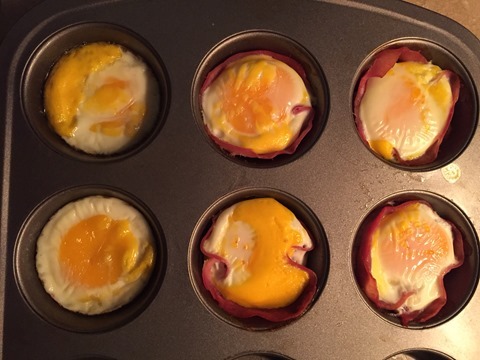 There are many variations of Muffin Pan Eggs on Pinterest and in my house we have one child who likes ham and one who doesn’t so I make mine half with ham and half without. 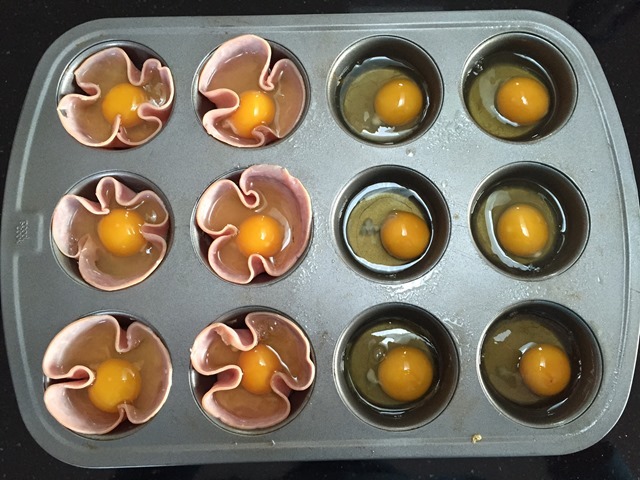 Use olive oil to coat the muffin pan so the eggs do not stick. If using ham – put a piece of ham into each muffin spot. Crack an egg into each muffin spot. You can also mix the eggs first and then pour into each, similar to a mini quiche. If using spinach, use a fork to push the spinach into the yolk. If using cheese, sprinkle a pinch on each egg. 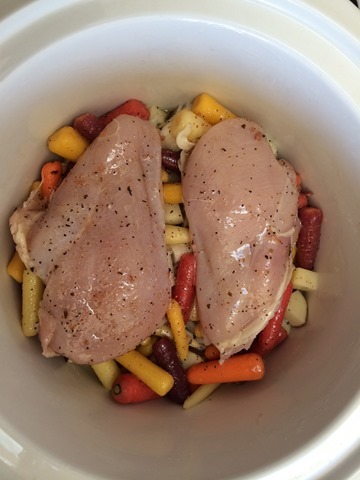 Bake in oven for 15-20 minutes, and enjoy! 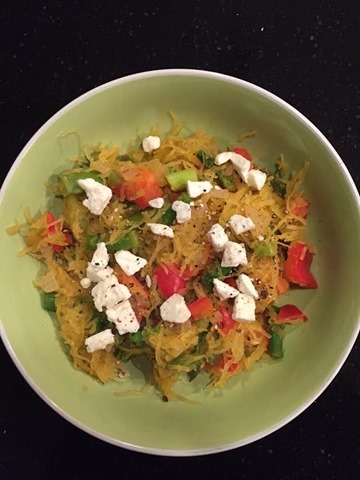 Does anyone struggle to get their spaghetti squash JUST right? I know I do! Well, over the weekend I had a breakthrough and made it just perfect! The squash I bought was smaller than what I have ever purchased before (so of course I bought two :)). Use a fork to poke about 20 holes in the squash. 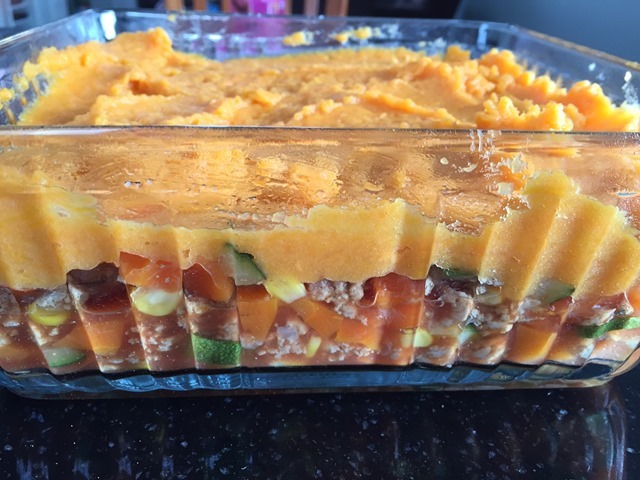 Place the whole squash on a baking sheet in the oven at 375 for about 45 minutes, to the point the squash is soft when you stick a fork in it. While the squash is cooking, cut the onion, red pepper, green pepper and asparagus. Allow the squash to cool enough so you can touch it, then cut it in half, lengthwise. Sauté olive oil and garlic on the stove top, then add the veggies and sautéed all together. As soon as the squash is cool enough to pick up, remove the seeds, then use a fork to pull out the squash and add it to the vegetable sauté. Continue to sauté the squash with the vegetables for about 10 minutes. Top it with some feta cheese and enjoy!! What recipe or food item do you love but struggle to make? 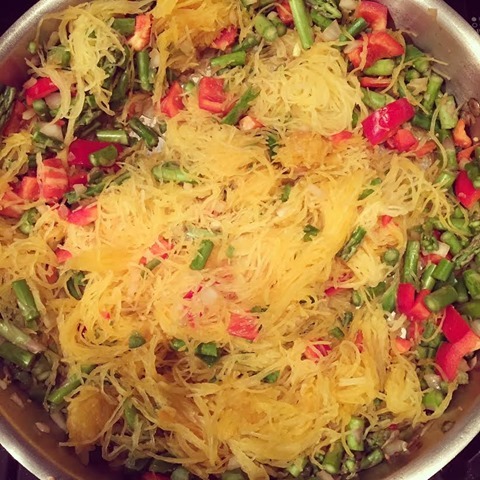 What is your favorite way to make spaghetti squash? I don’t know about you, but with two children my morning routine is a hectic one. When looking for something nutritious and filling that still taste like “breakfast” food I always turn to avocado toast. 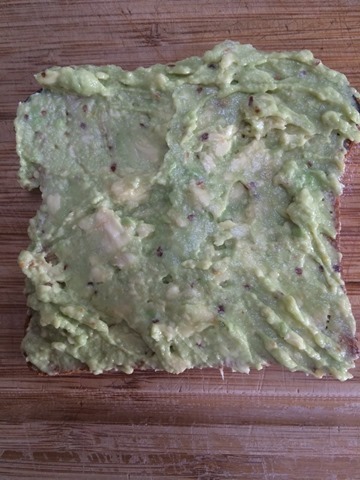 A major bonus to this is that my youngest daughter, Ainsley, also loves it and most mornings she and I will enjoy splitting half an avocado. 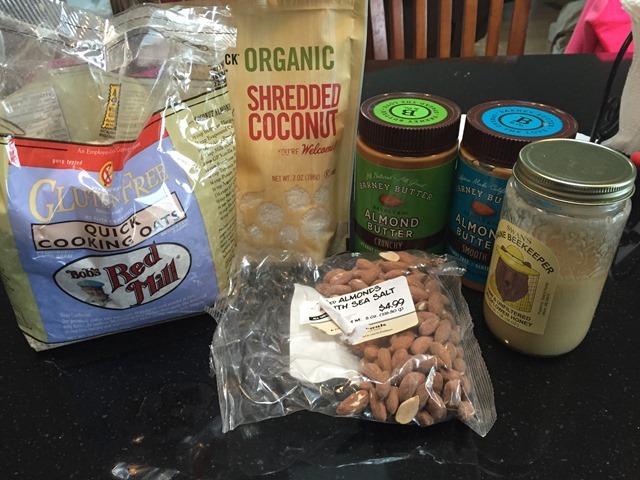 For those of you who have done, or are interested, in doing the 21 Day Fix this is a great breakfast option. Spread olive oil on bread, then toast to your preference. Mash avocado with a fork . 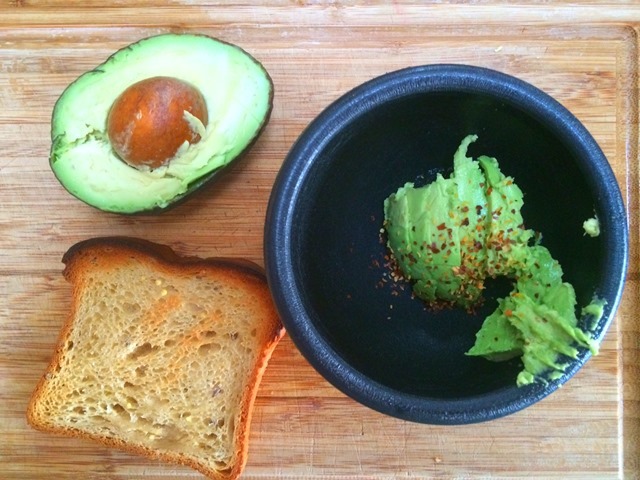 If using red pepper flakes, mix them into the avocado. Spread on your toast and enjoy!